have you ever tried changing the label on yer violin? well.....for some reasons, i.e modern brand, cheap printing, etc.. i change the label of my violin to make it look aesthetically correct! yes! i know that I'm not the maker of this violin, but i can't resist it, and I've done it! it's original label is "LAZER", and that sounded like "whut the??!! ".....so, I changed it with "Ozmus Ferous"(my latinized name), and the words "anno domini 2012", well, I'm not the creator of this fiddle, but I'm the owner! so, i get to decide what i want to do with it....now, have you tried on re-labeling yer violin before? 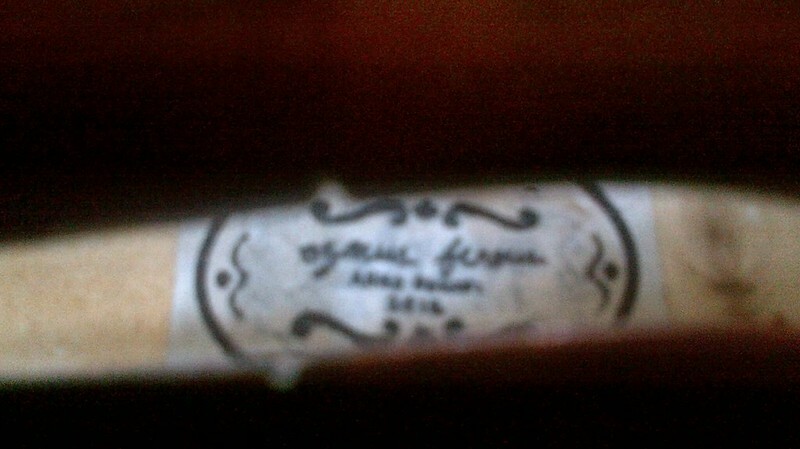 my camera's a little blurry, but the new label says "Ozmus Ferous, Anno Domini 2012"
It is your violin so do with it as you wish. As for me I leave the original labels in. 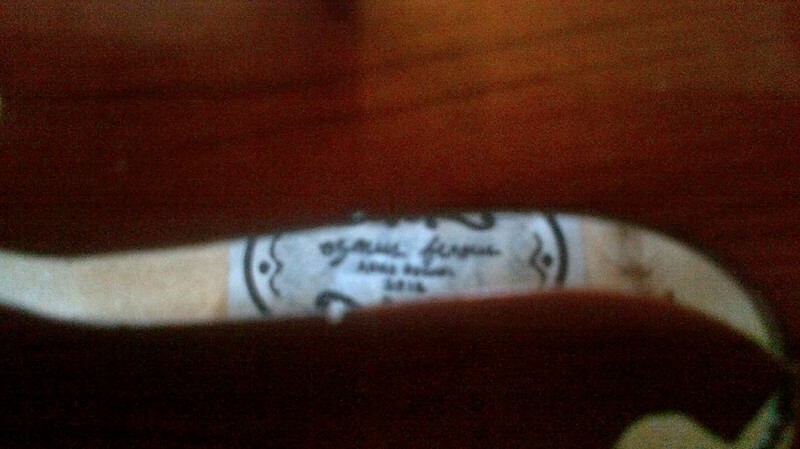 When I do a complete rebuild where every piece of the violin has come apart, I keep the original label in it's original position and put my label next to it stating repaired by. I have a new violin and it doesent even have a lable. 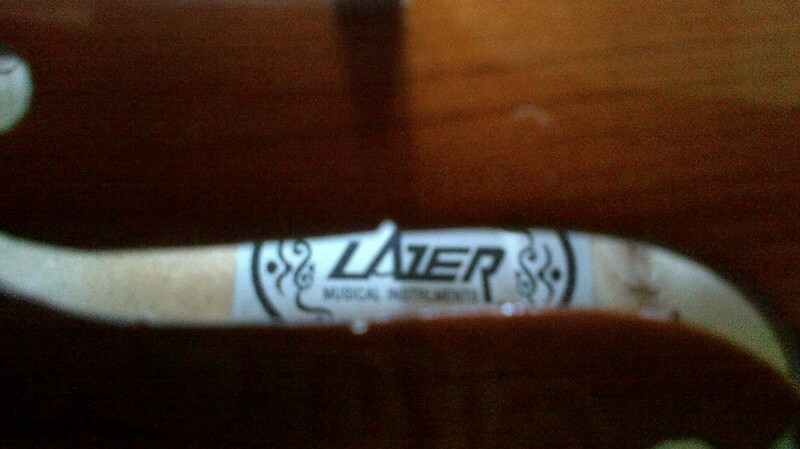 In any case, your label looks more thematically consistent with your instrument than the "Lazer" label. As the others have said, it's your instrument - do with it as you like. How about fire in the hole hemorrhoid creme. An antique violin with a phony label would be greatly devalued. It would be of 'unknown origin'. And if it where an antique the label wouldn't be 'modern' anymore.